Payroll is a key part of every business – it is the financial record of the salaries, wages, bonuses, net pay, and tax deductions of a company’s employees. Any business owner, human resources or accounting personnel who has managed or processed payroll will describe the process as a time-consuming one. Much attention to detail has to be paid to keeping track of statutory regulations, ensuring compliance, accurate calculations, and timely payouts. In Singapore, the Employment Act outlines the rights and duties of an employee under a contract of service with an employer, with the exception of seamen, domestic workers, civil servants and those in managerial and executive positions. Amendments to the Employment Act are regular and are rolled out after review of the Act and the conducting of public consultations. Most recently (as of 1 April 2016), an Amendment to the Employment Act made it compulsory for all employers to make and keep employee records, give written records of key employment terms (KETs) and give itemised pay slips to employees. Breaches of the requirements could result in heavy penalties. Payroll is a notorious time-eater, regardless of the number of people employed by your business. Salaries and wages have to be paid every month – this means critical amounts of data that varies from employee to employee needs to be inputted and double-checked constantly. This constitutes time taken away from strategic tasks and core functions that directly affect a company’s bottom line – sales, marketing, customer service, workflow efficiencies. 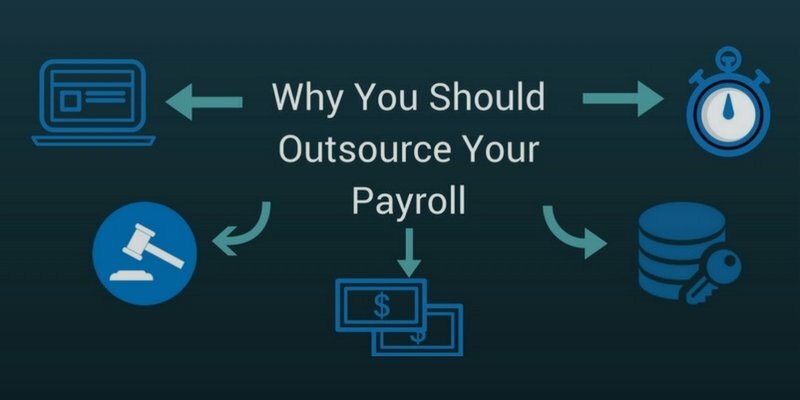 Outsourcing payroll immediately frees up precious time. Employers need only make contact with the outsourced payroll specialist or vendor when the time comes for approvals to be given. Outsourcing payroll can help with cutting costs and limiting risks. There could have been times when you were overpaying employees because of differences between the employee’s time and a rigorous time record. Having a biometric fingerprint system that accurately tracks time and attendance would omit such incidences and help you save money. In addition, breaching of the Employment Act requirements or late/incorrect filings when it comes to tax can incur penalties. This is unnecessary spending that can be curbed with an outsourced payroll specialist who understands employment and tax laws. There is also the fundamental issue of time being equivalent to money. Do the math. Think about the number of labor hours either you or your employees are devoting to payroll-related activities. Give the hours a dollar value linked to the revenue you could possibly generate if you had spent those hours working on core tasks instead. Compare the amount to the plans offered by payroll services providers – you will be surprised how much you can save by outsourcing payroll. For companies that do their payroll processing in-house, payroll becomes a money burner. Outsourcing your payroll also limits the risks of having your in-house human resources or accounting personnel leak salary information they have access to. Managing payroll externally maximises confidentiality, prevent misunderstandings and minimise disputes at the workplace. Another reason to outsource your payroll is to get access to expertise and technology. Most business owners and payroll-related staff would not have time to constantly study and keep up with amendments to regulations. In Singapore, employers have to prepare wage reports and tax forms, keep records of all employees’ income and deductions, pay monthly to the Central Provident Fund (CPF) and Skills Development Fund (SDF) on behalf of their employees and provide paid annual leave. There are a huge amount of complex nuances and deadlines one has to keep track of. By outsourcing payroll, a small business can take advantage of the expertise provided by the team of external payroll specialists. All the aspects of your HR and payroll needs will be seen to accurately and on time. The access to new technology is also key for employers who wish to scale their business. With growth comes more employees and in turn, more reporting. The ability to channel considerable amounts of data into customisable reports easily with a payroll software or system is paramount. Employees also expect technology. Employees today want to be able to access their payslips, timesheet, leave management and claims independently. Similarly, managers would appreciate the capability to approve leaves, claims, and timesheets via a payroll system. Employers that are not able to provide such options may be left disadvantaged. In-house payroll comes with a fair amount of risk. Identity theft, embezzlement of funds, or tampering with company files for personal gain can happen. Employee records can be easily accessed and viewed by your employees who handle payroll. Besides employee risks, you should also consider server or network risk. How safe and secure is payroll data on your company’s server or network? Do security flaws exist that leave you open or prone to data theft? Most payroll service providers and vendors incorporate technology that can spot and alert you to possible payroll fraud. In addition, such providers typically invest in state-of-the-art systems for storing and protecting data, alongside redundant data backups, multiple server locations, and revolutionary encryption technology. The potential costs of payroll mistakes are very real. Besides possibly incurring penalties for errors, omissions or late payroll tax filings, you are also legally responsible for any cases of misrepresentation or failure to file accurately with statutory agencies. As mentioned in #3, amendments to regulations and laws are a common occurrence. It is unlikely that you or your staff can stay on top of all the changes. Professional payroll providers, on the other hand, continually stay abreast of rules, regulations, and changes in employment and tax policies. They guarantee compliance and accuracy. If there are mistakes made, a good payroll services provider will assume the cost of penalties and handle the liabilities. By outsourcing payroll to a professional payroll service provider, you eliminate the pain and hassle associated with in-house payroll processing. You are ensured of error-free payroll and tax submissions and payment. In addition, you get access to top-of-the-line payroll data storage systems to boost your data security. With the peace of mind that outsourcing payroll services bring you, you can truly focus on growing your business.